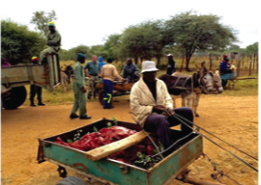 In addition to supporting conservation and research projects, the Fund also actively promotes the empowerment and upliftment of previously disadvantaged individuals and communities, primarily through direct funding of training and skills development programmes. More recently, the Fund has also thrown its weight behind many of the charities, rural community projects and feeding schemes supported and funded by our members. 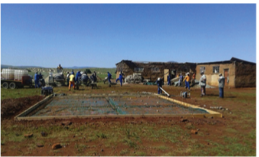 These social responsibility projects range from the building of rural schools, crèches and water provision to isolated communities where many of our members reside. The urban membership within the association also support a broad spectrum of social responsibility programs, ranging from children’s shelters to special needs schools.